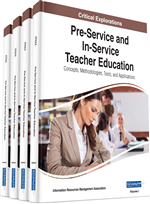 This chapter examines primary issues confronting preservice teacher preparation in the US public schools. There are several issues confronting teaching and teacher education programs. However, this chapter explores cultural and linguistic diversity issues given the critical need for inclusive education. The increasing nature of demographic changes in the schools and the U.S. society also has ramifications for students' learning and preservice teacher preparation. To that end, this chapter examines efforts by organizations and educational researchers to respond to the phenomenon of demographic changes in US public schools and the need to equip teachers with competencies needed to help students become successful in schools. The author examines how one teacher education program is preparing teachers to meet the demands of teaching culturally and linguistically diverse student population. Finally, the author provides suggestions on how to improve and enhance culturally responsive pedagogical competence among preservice teachers. There is always a need for highly qualified and competent teachers (Bartell, 2004) since teachers are very important (Haycock &Crawford, 2008) to the success of education enterprise in every country. Even in the age of technology the position of teachers in education will still be non-negotiable. As Leu (2005, p. 22), rightly posited “[i]f the school is the important functional locus of efforts for improving quality, certainly the most critical factor within the school in facilitating student learning is the teacher..”. This confirms the importance of teachers. One of the fundamental truths in education is that, to a large extent, quality education delivery depends on the quality of teachers in the classrooms. Despite all other inputs, success of education is not guaranteed if teachers are unskilled and incompetent (Jibril, 2007). Put in this way, “[t]eacher quality is still the most powerful school-related influence on children's academic performance” (Barnes, 2006, p. 93). Teacher quality matters because quality teaching impacts positively on students’ learning outcomes as well as their life chances. The impact of good teaching on students can even offset the effects of factors that relate to a student’s background like income, education of parents etc. (Bransford, Darling-Hammond, & LePage, 2005). The importance of quality teaching brings into focus the issue of teacher education and how best teachers are prepared to be able to support education of all learners. What is teacher education and what does it offer? Teacher education refers to the systematic, structured, and professional training that is offered to people for them to qualify as professional teachers. Teacher learning and development is continuum and involves stages like pre-service teacher preparation, induction support, in-service professional training, and renewal (Odell, 1998). The basic purpose of teacher education is to prepare teachers to be able to function effectively in the classroom by facilitating students’ learning. What teacher education does is that, it equips teachers with the competencies, skills, and dispositions needed to function professionally and be able to effectively organize and facilitate students’ learning (Jibril, 2007) in today’s diverse classrooms.